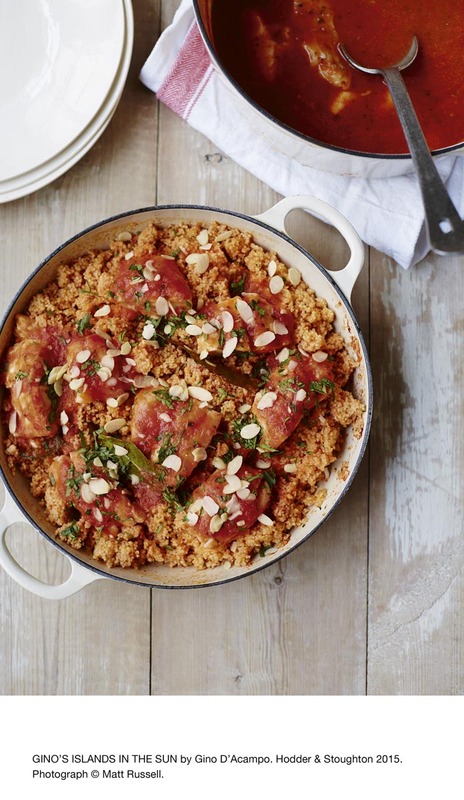 Are you looking for a delicious couscous recipe with a difference? If you are, you’ve found it! Here’s my trapani-style couscous with fish, tomatoes & almonds for you to enjoy. 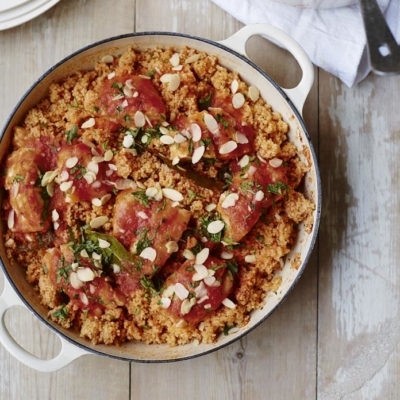 Feast your eyes on the finest trapani-style couscous with fish, tomatoes & almonds! It’s straightforward and fun to make this great dish. Simply follow the instructions below and get the perfect result. Heat the oil in a large saucepan over a medium heat. Add the onions and parsley and fry for 5 minutes, stirring occasionally. Tip in the tomatoes, add the sugar and season with salt and pepper. Bring to the boil, then reduce the heat, cover and simmer gently for 10 minutes. Remove the lid and simmer for a further 10 minutes. Pour over the hot stock. Remove the pan from the heat and blitz with a hand-held blender. Add the bay leaves and drop in the fish bones and tails. Return to the heat and gently simmer, covered, for 30 minutes. Remove the fish bones and tails and discard. Put the couscous in a medium saucepan. Measure 450ml of the prepared sauce and pour over the couscous. Stir in 100ml of boiling water and the cinnamon. Cover with a lid and place over a very low heat for 5 minutes. Meanwhile, submerge the fish in the remaining prepared sauce. Cover and simmer over a low heat for 15 minutes. Remove the couscous from the heat and leave to stand, still covered, for 10 minutes. Fluff up the couscous with a fork. Lift the fish out of the pan and arrange on the couscous. Pour over some of the sauce and scatter over the remaining parsley and almonds. Put the remaining sauce in a jug and hand it round separately. 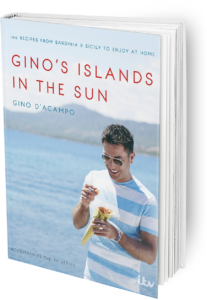 Once you’re done, simply sit back and enjoy your trapani-style couscous with fish, tomatoes & almonds and don’t forget to check out other great authentic Italian recipes including great antipasti recipes, Italian pasta recipes, Italian soup recipes, Italian beef dishes and authentic pizza recipes.